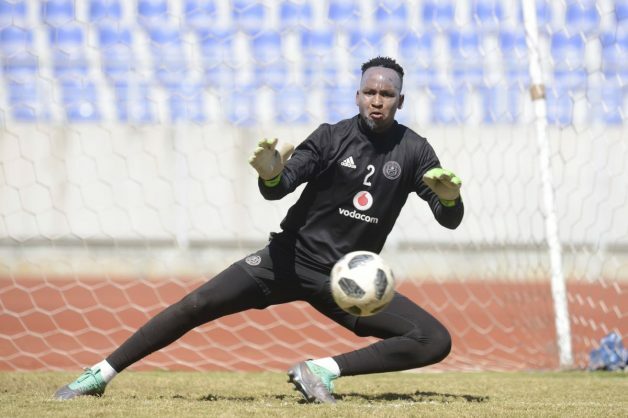 Orlando Pirates goalkeeper Brilliant Khuzwayo has hit back at some Kaizer Chiefs fans who were ridiculing him for not being selected for the Bafana Bafana squad. Some Chiefs fans took to Twitter to ridiculed Khuzwayo after Bruce Bvuma was selected for the national team ahead of goalkeepers who are more experienced than him. In his response, the Umlazi-born goalkeeper likened those fans comparing him to Bvuma to bitter ex-lovers who are not happy to see a person moving on. “I’m that Ex neh, you keep on checking. That ex that broke your heart by leaving so you’ll say things that will make you feel better. Don’t worry I’m still yet not ready. The ex that you wish to get back but you know that won’t happen,” read a tweet from Khuzwayo. Meanwhile, Khuzwayo congratulated Bvuma on Monday after he was called-up by coach Stuart Baxter for the Afcon qualifier against Libya on March 24.